"Global technology services company has reached a definitive agreement to purchase Babcock International Group's Media Services business"
LONDON/ATLANTA (August 29, 2018) – Encompass Digital Media, a global technology services company delivering end-to-end video playout and distribution solutions to broadcast and digital media companies, announced today it has signed a definitive agreement to acquire Babcock International Group's (Babcock's) Media Services business. This deal expands Encompass' scale in EMEA and extends the company's combined channel playout, transmission and digital products portfolio while adding international radio distribution to its suite of services. "Acquiring Babcock's Media Services business increases our presence in the EMEA region, expands our video services offering, specifically in the live streaming sports arena, and bolsters our collective relationships with some of the most important media companies and public service broadcasters around the world," explains Chris Walters, Encompass CEO. 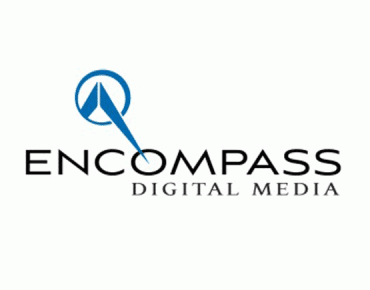 "We are thrilled to be adding a large number of highly regarded industry professionals to the Encompass team." The amount of technical complexity required to generate and deliver content to viewers continues to grow exponentially, and the acquisition of Babcock's Media Services business represents a continued push to offer end-to-end, highly reliable and scalable services to media companies. With combined resources, Encompass will offer enhanced solutions to capture, process and deliver video content from any source, in any format, to any destination in the most efficient manner possible. "I am delighted that Babcock's Media Services business is becoming a part of one of the leading global providers of managed video services. The combination of Encompass' significant international presence and prestigious customer base, together with Babcock's growing capabilities in the rapidly expanding live streaming market and our market-leading position serving many of the world's leading international radio broadcasters, will further cement Encompass' global reputation as THE provider of choice," states Nick Thompson, Managing Director of Babcock's Media Services business. Encompass has existing facilities in the UK, US, Singapore, Argentina, Latvia and India; this acquisition will grow its operations in the UK and Singapore and add operations in Oman and Ascension Island. 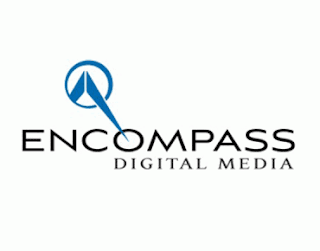 Encompass is a global technology services company focused on supporting TV networks, broadcasters, sports leagues and digital leaders with the delivery of their linear/nonlinear video content across television and digital platforms. Services include: global transmission and connectivity, channel playout, OTT/TV streaming and VOD, live events and disaster recovery. For more information, please visit www.encompass.tv, and follow us on social media – LinkedIn and Twitter.